Located in the heart of Maputo Bay, with spectacular views of the sea and with Catembe smiling on the other shore, we offer the best leisure space, within the framework of the architecture created by Pancho Guedes. Situado em plena Baia de Maputo, com espetacular vista do mar e com a Catembe sorrindo na outra margem, oferecemos o melhor espaco de lazer, num marco da arquitetura criado por Pancho Guedes. Just as Pancho Guedes turned lines into wonderfully sculptural buildings, so we at Zambi do transform the best ingredients into international-flavoured delicacies without ever losing sight of the Afro-Luso origins. Representing the adventures across the seven seas, we serve Sushi with Latinity notes, the best seafood from the Atlantic to the Indian Ocean and the excellent meat of the African plains. perder de vista as origens Afro-Lusas. Representando as aventuras pelos sete mares, servimos Sushi com notas de Latinidade , os melhor marisco do Atlantico ao Indico e a excelente carne das planicies Africanas. 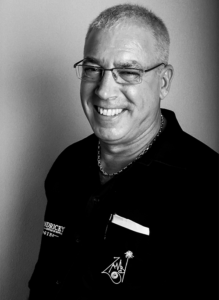 Jorge Jordao is the Head-chef/co-owner of Restaurant Zambi. His cuisine is focused on the locally sourced ingredients, with an emphasis on simplicity, purity, and seasonal flavours. A native of South Africa, he was exposed to food at a very young age, and began working in kitchens at the age of 16. From there he spent time in some of the finest restaurants, absorbing knowledge from famous Chefs, before he moved to the Mozambique. In Maputo he was the ignition point for some iconic names in the restaurant landscape as Costa do Sol. Over the course of Chef Jorge tenure, he did conquest Maputo with his hospitality-driven, down to Earth attitude and the ability to transform local ingredients into magical meals, taking his restaurant to the fore-front of Mozambican Cuisine and outstanding service. Jorge Jordao é o chefe de cozinha / co-proprietário do restaurante Zambi. Sua culinária é focada nos ingredientes de origem local, com ênfase na simplicidade, pureza e sabores sazonais. Nativo da África do Sul, ele foi exposto à industria da restauração ainda muito jovem, e começou a trabalhar em cozinhas com a idade de 16 anos. A partir daí, passou algum tempo em alguns dos melhores restaurantes, absorvendo o conhecimento de chefs famosos, antes de se mudar para o Moçambique. Em Maputo, ele era o ponto de ignição para alguns nomes icônicos na paisagem do restaurante como a Costa do Sol. Ao longo do mandato do Chef Jorge, ele conquistou Maputo com a sua atitude de hospitalidade, a atitude da Terra e a capacidade de transformar ingredientes locais em refeições mágicas, levando o seu restaurante à vanguarda da cozinha moçambicana e serviço excepcional. 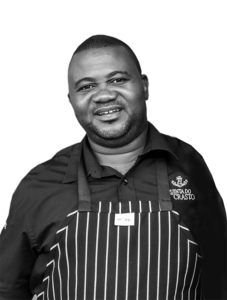 Chef Ezequiel Valoi, from Mozambique, has been with Chef Jorge Jordao for the last 30 years, in several of his restaurants, first as a line cook and working his way up to Chef de Cuisine. Chef Ezequiel has been an integral member of Chef Jorge kitchen team at Zambi, instrumental to the restaurant securing the preference of Maputo clientele and #1 restaurant in the Mozambique. O Chef Ezequiel Valoi, de Moçambique, esteve com o Chef Jorge Jordão nos últimos 30 anos em vários dos seus restaurantes, primeiro como cozinheiro de linha e percorrendo o seu caminho até ascender a Chefe de Cozinha. O Chef Ezequiel tem sido um membro integrante da equipa de cozinha do Chef Jorge no Zambi, instrumental para o restaurante, assegurando a preferência da clientela de Maputo e ajudando o restaurante a ascender a número 1 em Moçambique. In a building that has undergone countless metamorphoses over the years, it has once again been reborn from the ashes by the hands of Jorge and Paula, who, joining a sublime passion for the kitchen to the taste of being in a space designed and decorated by them, recreated a contemporary icon directed to people, reflecting the passion for culture. Num edificio que sofreu ao longo do anos inumeras metamorfoses, mais uma vez renasceu das cinzas pelas mãos do Jorge e da Paula, que juntando uma sublime paixão pela cozinha ao gosto de estar num espaço por eles desenhado e decorado, recriaram um icon comtemporaneo direcionado a pessoas, reflectindo a paixão pela cultura. 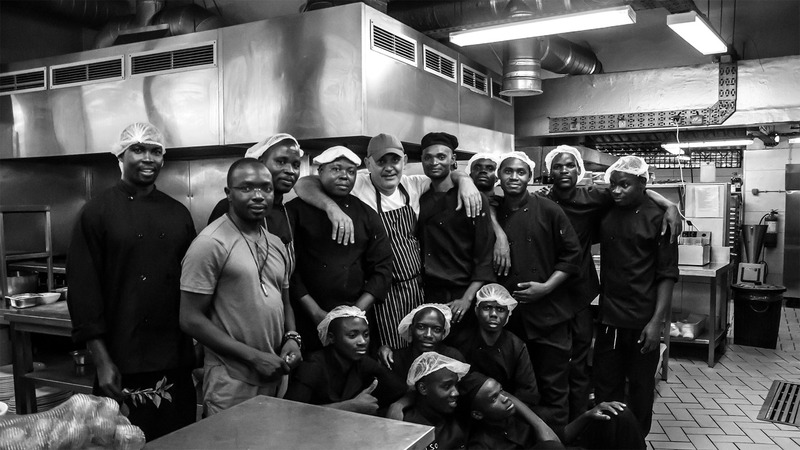 With Africa at heart, Fernando Neto, starts his restaurant career, as a server at the age of 17, learning the ropes in what was known at the time as restaurant silver service. Passionate about service, food and wines, served at top South African restaurants, holding several positions, including Dining Room Manager and Service Director. 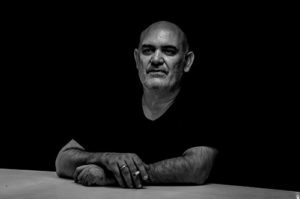 In 2012, he joins restaurant Zambi as the General Manager, joining forces with the existing Team, selling not only food and drinks, but rather, dreams and emotions. Com a África no coração, Fernando Neto, inicia sua carreira na industria da restauração, como empregado de mesa aos 17 anos, aprendendo as cordas no que era conhecido na época como serviço de prata. Apaixonado por serviço, comida e vinhos, serve nos melhores restaurantes da África do Sul, ocupando vários cargos, incluindo Gerente de Sala de Jantar e Diretor de Serviços. Em 2012, ele junta- se ao restaurante Zambi como Gerente Geral, unindo forças com a equipe existente, vendendo não apenas alimentos e bebidas, mas sim sonhos e emoções. 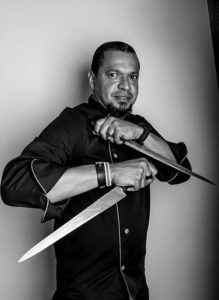 Executive Sushi Chef Ronaldo Ribeiro, originally from Baia-Brazil has been with Zambi since 2016. Ronaldo’s proficiency in Sushi and Nikkei Cuisine led to him being integral in pushing the restaurant Sushi program to new heights. 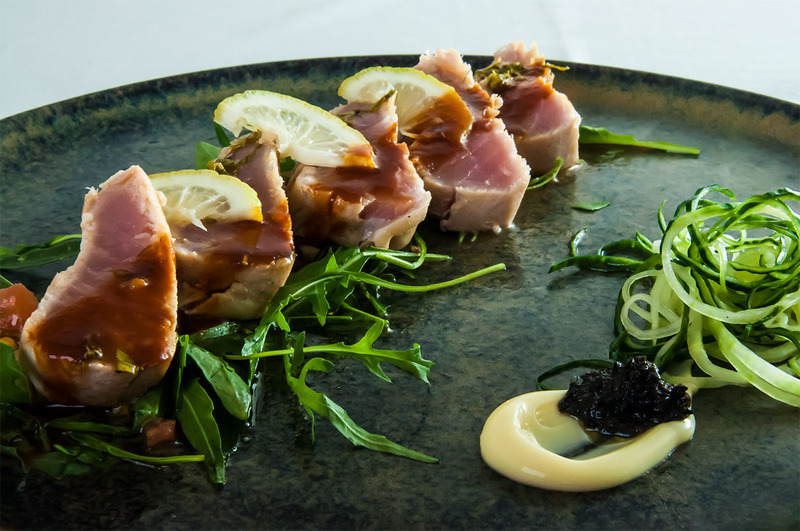 During his years at Zambi he attended and graduated from several international workshops rubbing shoulders with the top chefs in the world, bringing to Maputo a new and fresh approach to Sushi and Nikkei Cuisine. O Chef Executivo de Sushi Ronaldo Ribeiro, originário da Baia-Brazil, está com a Zambi desde 2016. A proficiência de Ronaldo em Sushi e Nikkei Cuisine levou-o a ser parte integrante no escalar do restaurante a novos patamares, no que diz respeito a este tipo de Cozinha. Durante os seus anos no Zambi, frequentou e formou-se em vários workshops internacionais, ao lado dos melhores chefs do mundo, trazendo para Maputo uma nova e inovadora abordagem ao sushi e à cozinha nikkei.